My, oh my, I saw Gogol Bordello last night. Excellent Brazilian expatriates Forro in the Dark opened. Though I didn’t say for the whole GB show (being a tired parent, too far from home for a late night drive), all that I saw and felt was incendiary. See them if you can. There is something about being with people who are doing their thing. Clearly, these folks were at it. 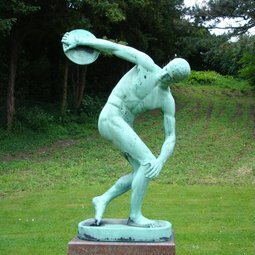 I remember a boy in high school who threw discus for the track team. There was a photograph of him with discus in the yearbook: elemental, he was doing his thing. My high school boyfriend had the same look when he was playing his guitar. My husband looks that way when he reads his fiction aloud. It’s hypnotic. My daughter is part of a Montessori toddler preschool. They sing a song that goes through all the kids by turns, “Go on Merida, do your thing, do your thing, do your thing, go on Merida, do your thing, do your thing and stop.” At home, she sings through all the children’s names. They take turns. Last night was Gogol Bordello’s turn. The planet needs more people out, doing their thing. It will make us all happier. We can take turns. I’m going to go back to doing my thing and write this novel now. This entry was posted in Uncategorized and tagged being a mother, Doing your thing, Forro in the Dark, Gogol Bordello, Interdisciplinary Aesthetics, Montessori, music, The Eight Mile Suspended Carnival, writing. Bookmark the permalink.